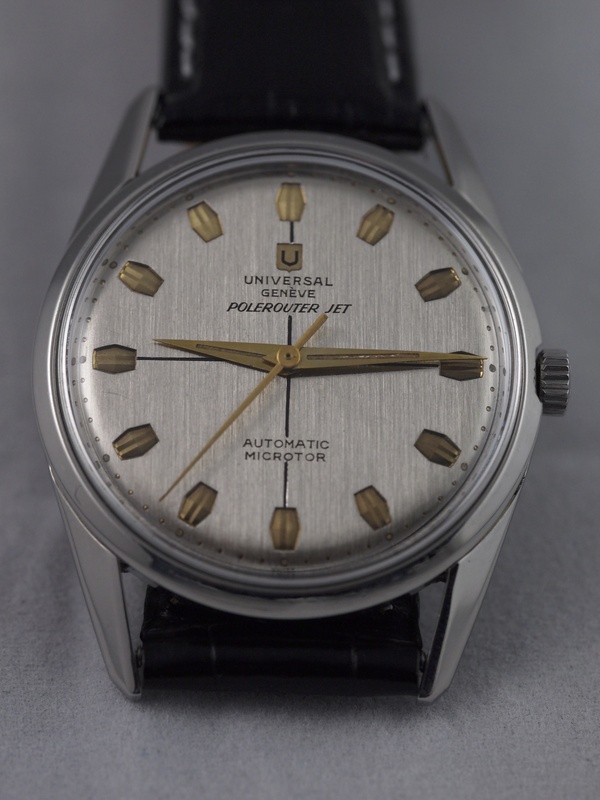 In the world of the Universal Geneve Polerouter there is one variation that all collectors have a particular affinity for: the Genta Polerouter. Gerald Genta is a name all collectors know but few outside the collector’s circle do. He was a watch designer who created some of the most immortal and unique pieces. Today these pieces are the foundation of some watch brands. 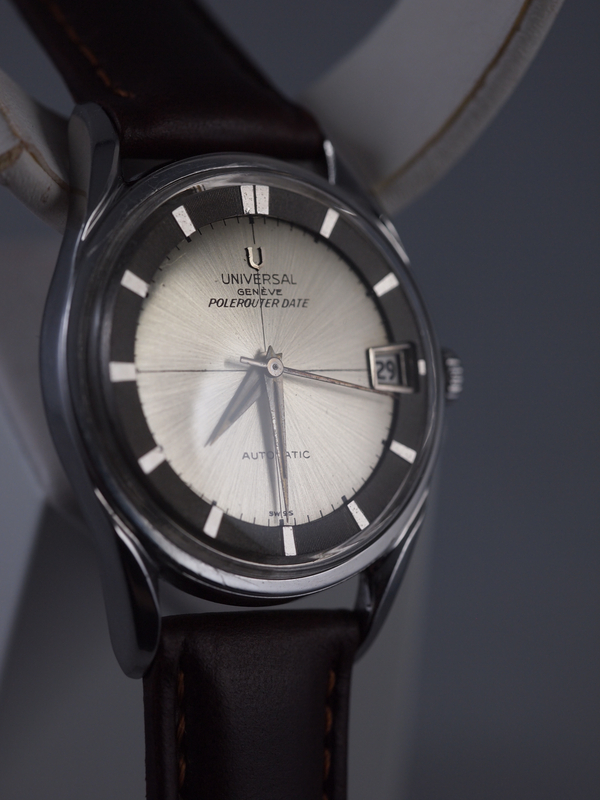 He designed the Audemars Piguet Royal Oak, the Patek Phillipe Nautillus, and the Cartier Pasha among others, but before these incredibly avante garde and iconic pieces was one of his first: the Universal Geneve Polerouter. At the age of 23 he created this beautiful, and insanely reasonably priced collectors piece. 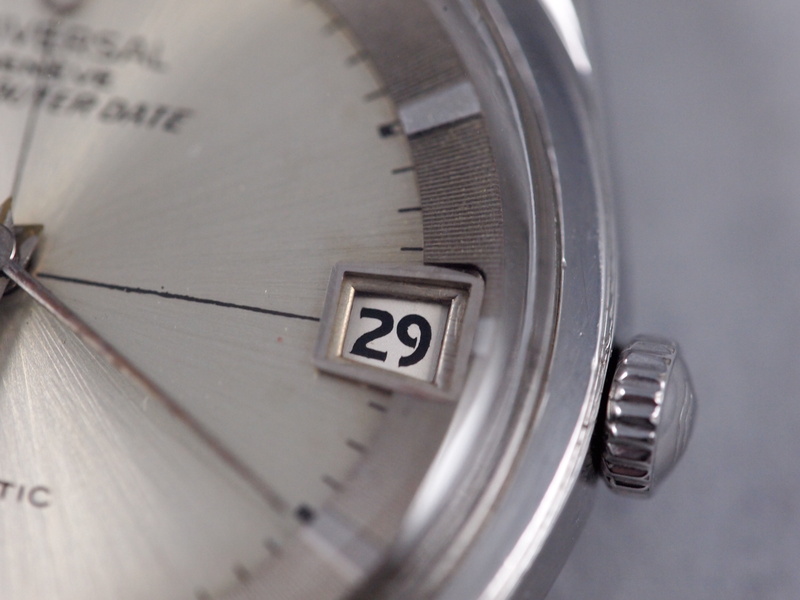 The raised chapter ring gives the watch a sense of depth, which is a feat given how thin this was is for an automatic. The trapezoidal date window is another element Genta added to make this watch ever so slightly different from everything else on the market. It is very important to note should you be a stickler for all original, that the best way to know is to look at the crystal. 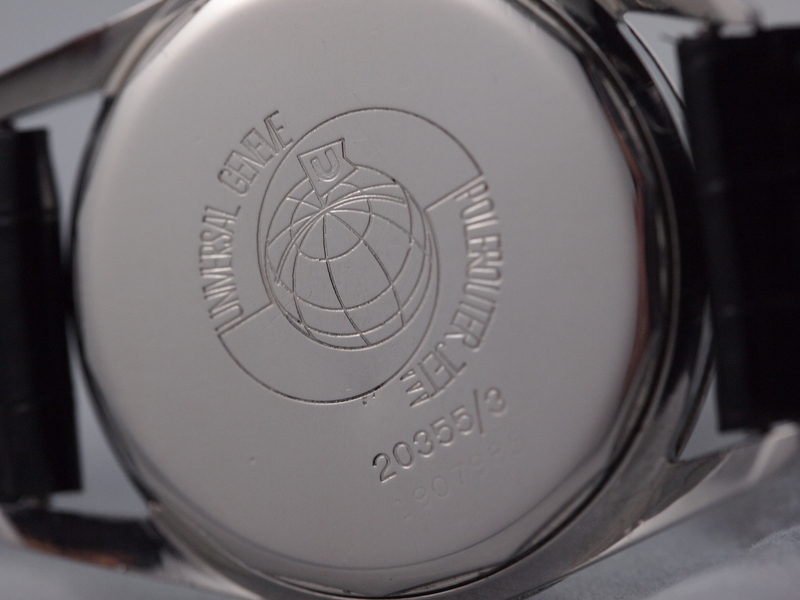 Universal Geneve made crystals with specially shaped date magnifiers for these watches. They are impossible to find and so finding one with its original crystal is a huge plus. This piece unfortunately is without that crystal (but I am just getting into one with the original which will be photographed and posted soon.) Finally, the subtle sunburst streaks on the dial that radiate out from the center creates radiant streaks that sync up with the chapter ring and make this watch catch light different than most others. My work on this piece consisted of a usual full service but no major repair work. When I got it I noticed a slight rattle in the automatic works which is totally normal with these pieces. The rotor wearing or the axle breaking is quite common. What I found however was significantly (and pleasantly) more minor. There are two screws that fix the automatic works to the mainplate. One of those screws was missing. Once that was in the piece worked and wound like a charm. 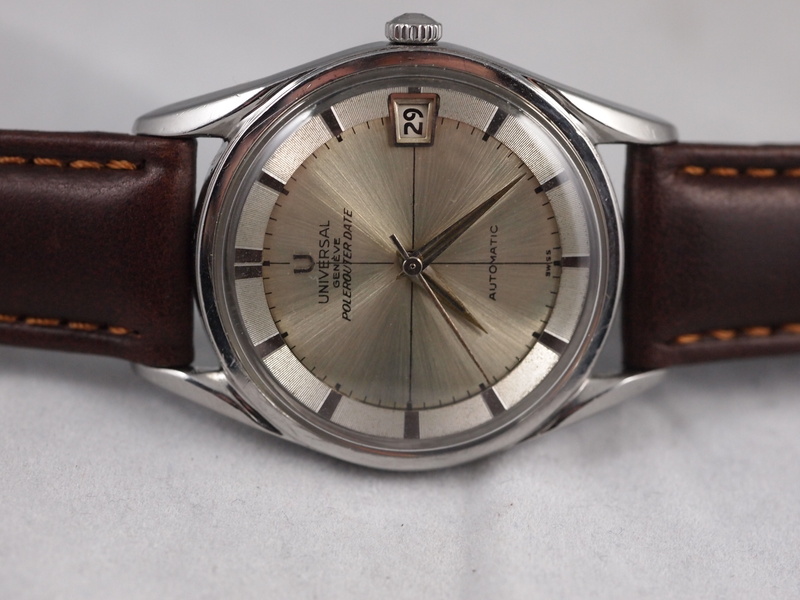 While I generally have a strong preference for black bands, this watch just looked better with brown. While a black band can provide a very prominent contrast to help highlight some of a watch’s subtle details, this watch needs no such contrast and looks perfectly at home on its band. All together this is a fantastic collector’s piece. It is an amazing design and considering that at the time Genta was in his early 20s, and it was most certainly a brilliant first step in the legacy of the watch world’s most revered designer. 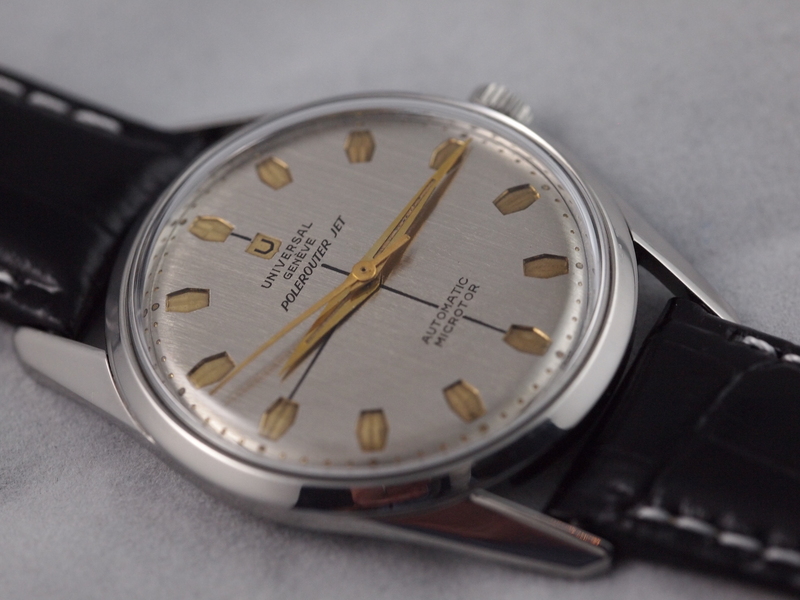 Its price point makes it one of the best deals in watch collecting. If you haven’t added one to your collection, I would very seriously consider it. 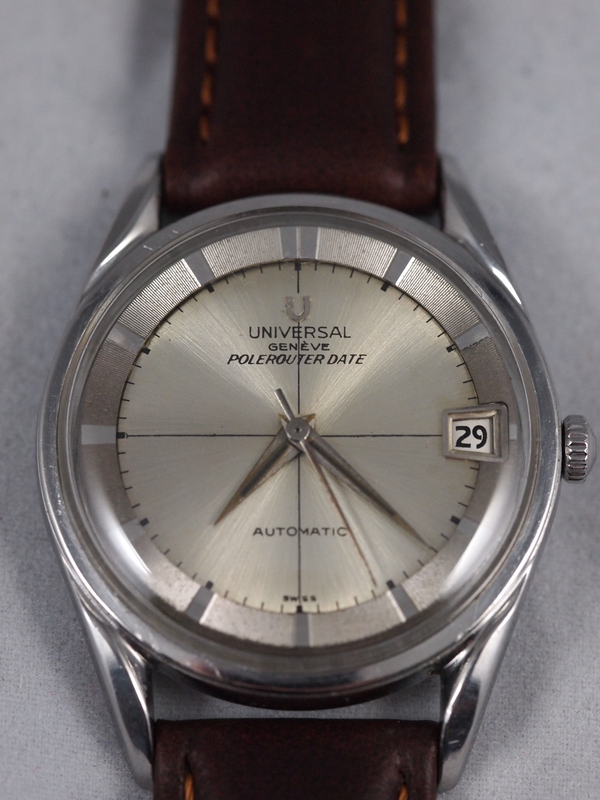 There are few amazing pieces as under-appreciated (and well priced) as the Universal Genève Polerouter Jet. 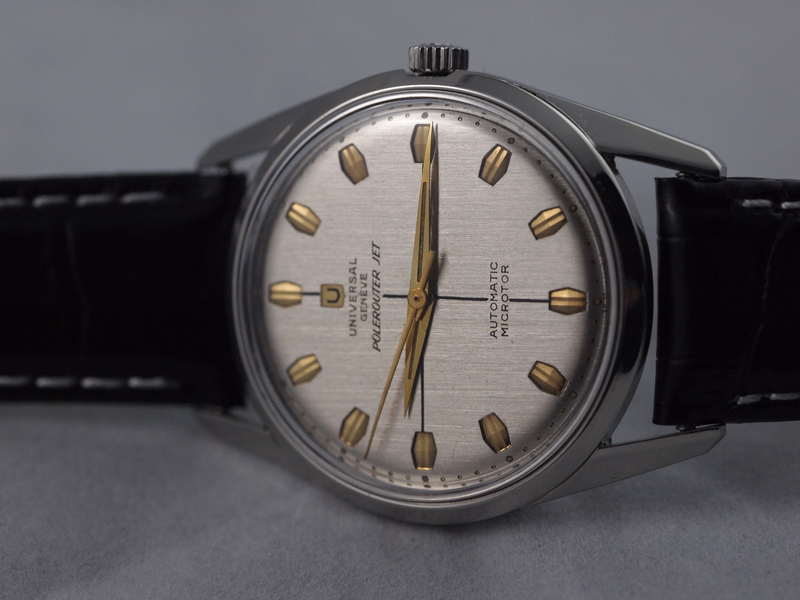 Finally after years in the under-rated pile of vintage watches, it is getting its time in the spotlight. As a fan of innovators and clever engineering feats, this watch was impossible to pass up on when it crossed my path. 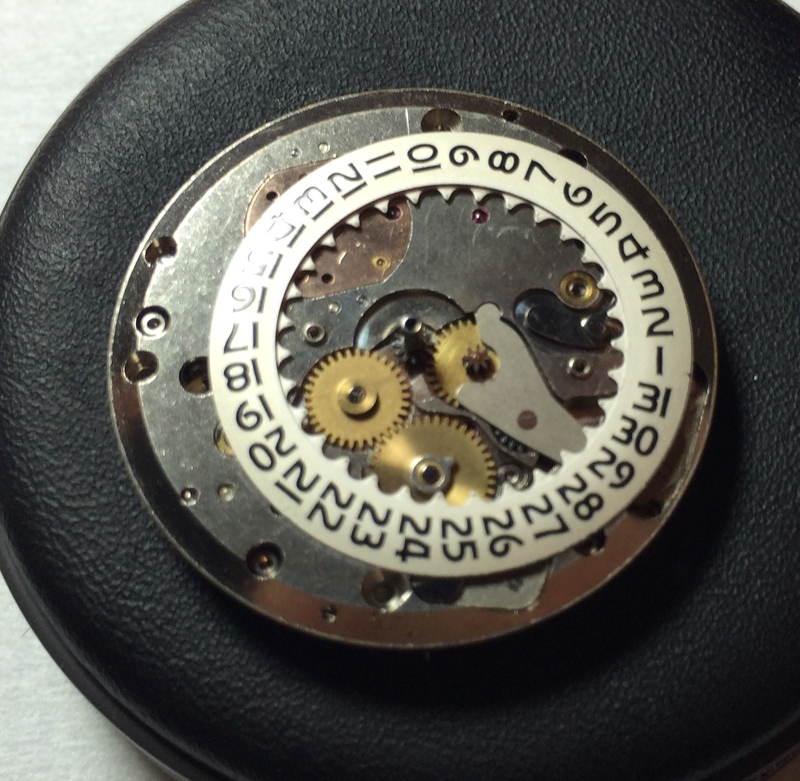 The flawless and rare dial combined with my desire to work on one of these movements made this restore a fantastic experience. 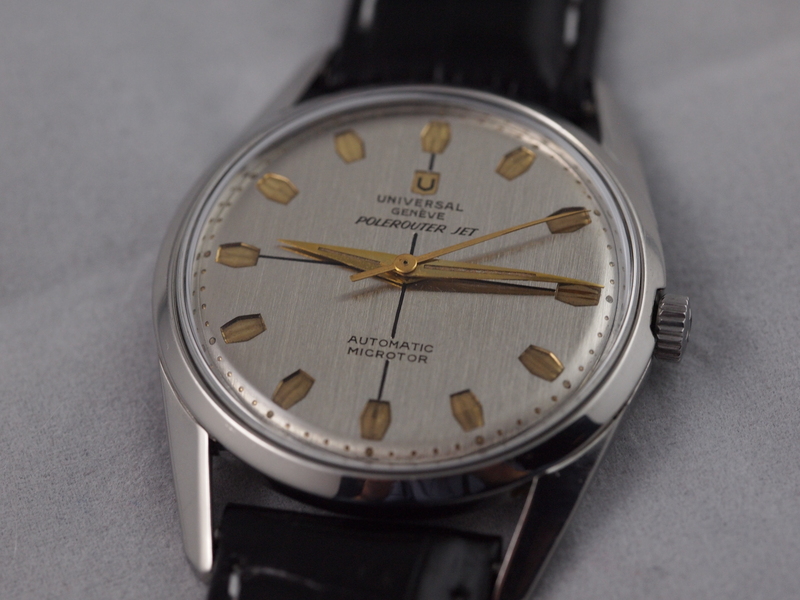 Universal Genève filed their patent for the Microtor in 1955. 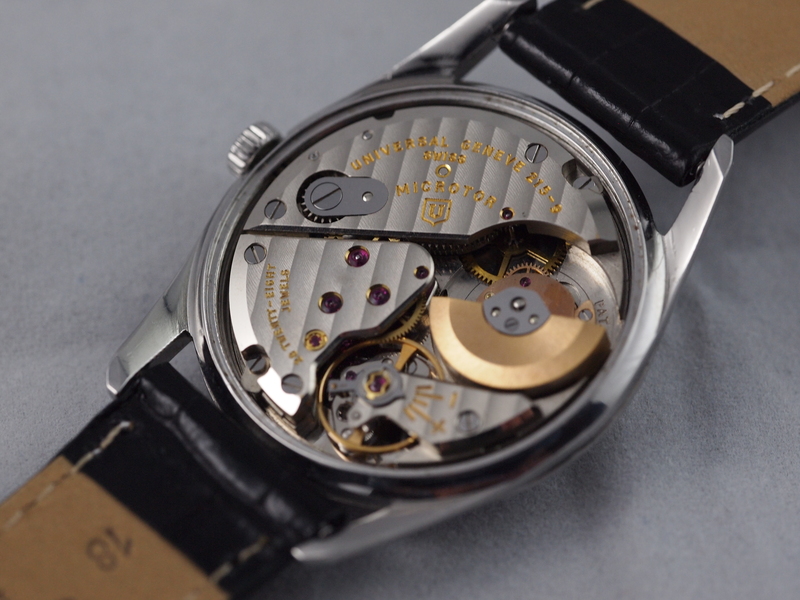 While they are certainly the most cited for the pioneering of this type of movement, the real credit actually belongs to the Buren Company (which made the movement that powers some of the Hamilton Thinline series and Bulova Ambassadors, among others) who filed their patent just a year before UG. As a result they were the winners of a patent infringement case that followed. 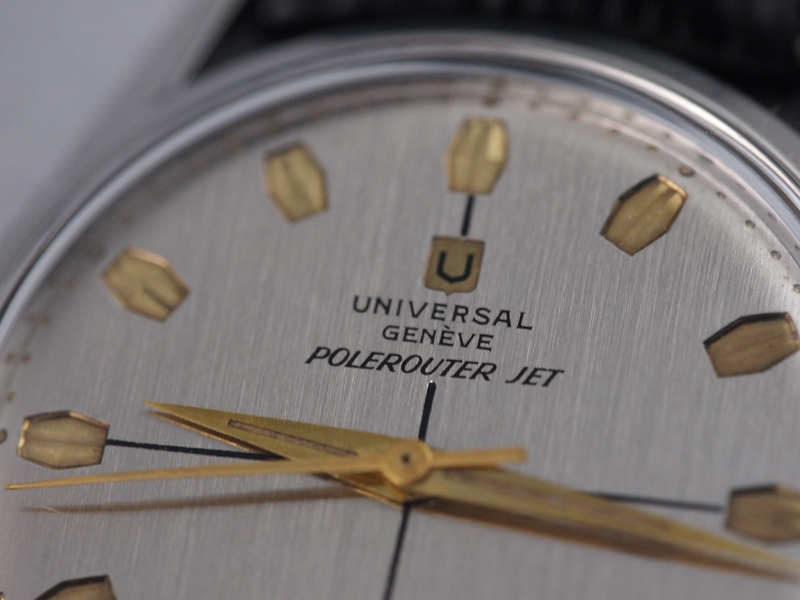 While Buren may have won the innovation race by almost a year, Universal Genève it would seem was taking their time to not only perfect the mechanics, but also the aesthetics of their movement. The iteration they put out was impeccably finished (fittingly with Geneva Stripes) and is absolutely beautiful mechanically and visually. 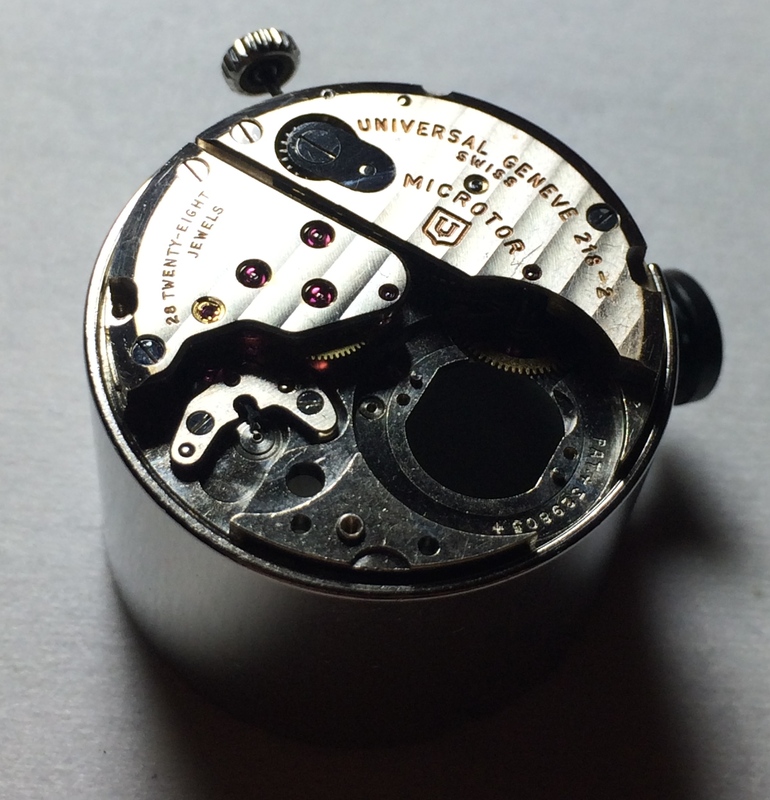 The original purpose of the smaller rotor set into the movement is that it saves big on the total thickness of an automatic watch. 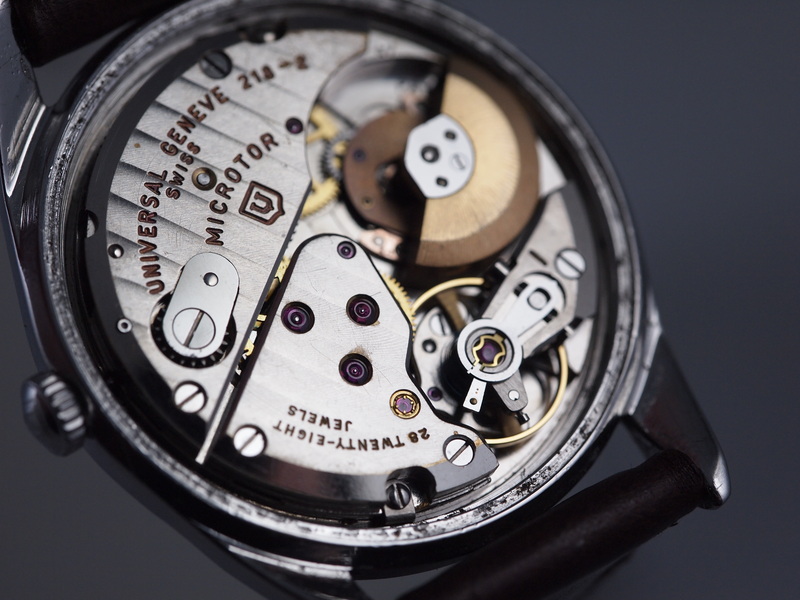 A quick Google of the world’s thinnest automatic watch will bring up the Piaget Altiplano that unsurprisingly utilizes the Microtor technology. 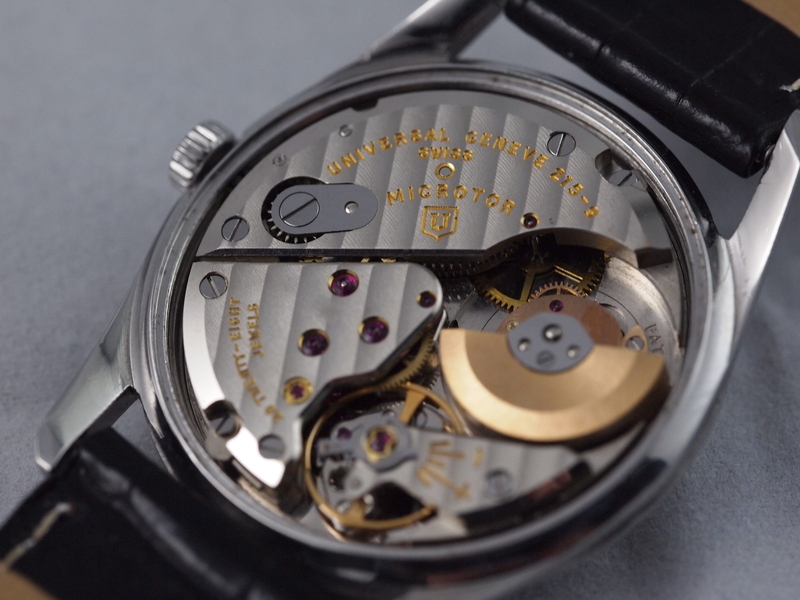 A secondary benefit utilized by the finest of watchmakers (such as Patek Philippe, A. Lange and Sohne, and others) is that minimizing the space needed for the automatic rotor increases the room available for complications as well as the display-ability of the movement through a sapphire back. Usually a rotor will eat up about 30-50% of the viewing space at a time but the Microtor requires much less and usually allows for an unobstructed view of the hairspring and the other mechanics. I got this watch in running condition but in need of a full service. The balance was sluggish and under the microscope it was easy to see why. Sometimes oil just migrates and dries up but sometimes it collects dirt and becomes extra viscous or dries up, creating resistance where it is supposed to be there for the opposite reason. Oil had caked up in the balance jewels and was prohibiting free movement of the balance. A thorough cleaning and oiling took care of the problem and after a slight regulation the watch was running beautifully. On the wrist this watch is fantastic. It expectedly wears very lightly. The smaller profile comes out on the wrist. The brushed dial is different from the typical iterations of this watch and the rose gold markers and hands it gives the piece an added elegance. 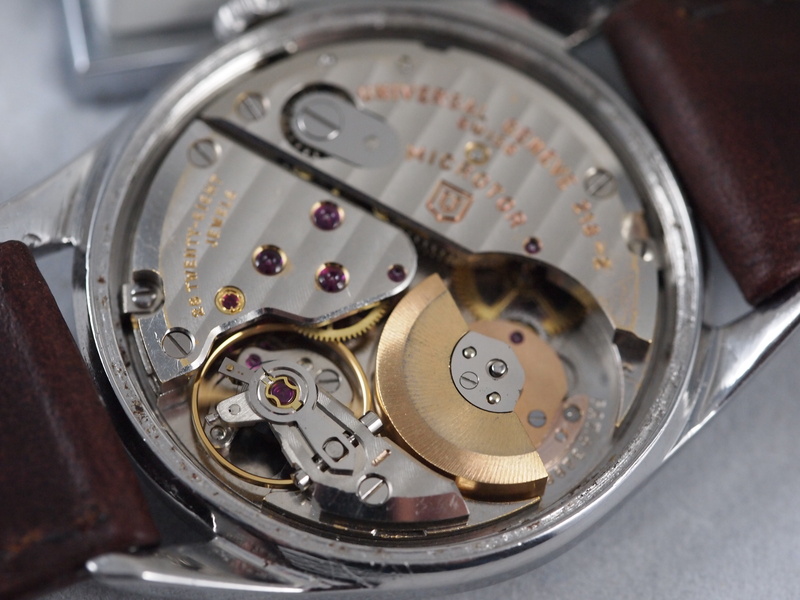 All together, this is a wonderful vintage piece that showcases innovation, timeless styling, and easily one of my favorite movements to work on. 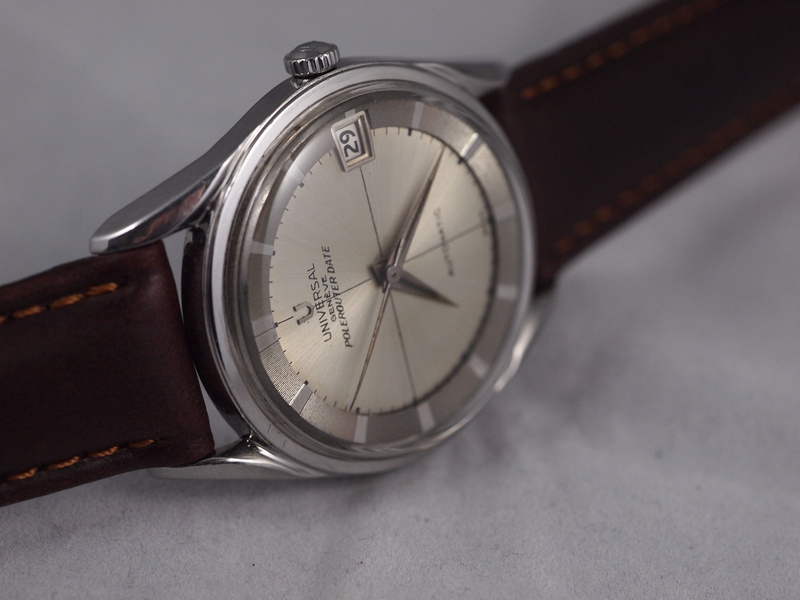 If you are a stickler for slim watches but want an automatic, you can’t go wrong with one of these vintage beauties.